Netflix isn’t afraid of innovating, whether it be separating its streaming and through-the-mail DVD service or dropping a surprise trailer during the Super Bowl. 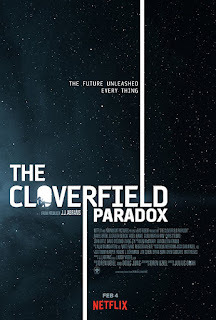 That trailer was for The Cloverfield Paradox, which began streaming immediately after the game finished. Netflix also isn’t afraid adopting a quantity over quality approach by releasing more films and series that are average or even subpar. Sadly, Paradox falls into that category by recycling nearly all of its plot points and scares from other much better films in the spooky space station/ship genre. 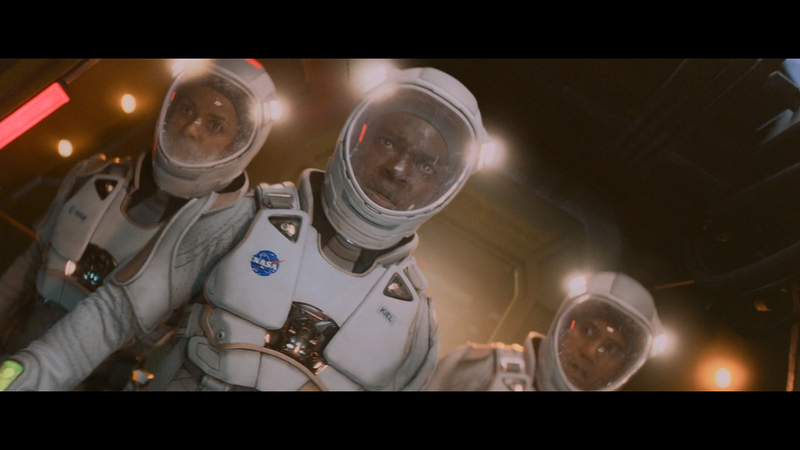 Serious actors play stereotypical scientists sent into space to solve an energy crisis on Earth (Sunshine). Those scientists from various countries cooperate on the space ship (The Martian) by using a particle accelerator to garner energy from the sun. Interestingly, Norwegian actor Aksel Hennie reprises his role as a Scandinavian astronaut in Paradox, just as he did in The Martian. Other heavy-hitting actors (David Oyelowo, Gugu Mbatha-Raw, Daniel Brühl, Ziyi Zhang, John, Ortiz, and Chris O’Dowd) round out the crew as general space station staff, since their roles are not well defined. Nearly no time is spent developing these characters or explaining anything other than plot exposition. Though the spooky sci-fi happenings here have been seen before in everything from Prometheus to Passengers, there are a couple surprises. One of these is a strange/disturbing death, a staple of the spooky spaceship genre. Another surprise is being spoiled by Netflix’s marketing for the movie, which, if seen already, makes that plot point not so surprising. 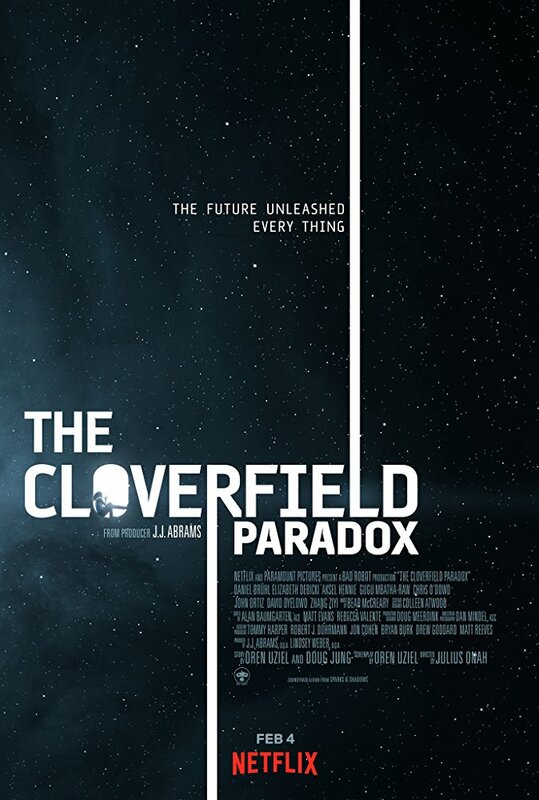 Another element that harms the movie is the central focus on providing explanations for and making connections to other films in the Cloverfield series. Though this kind of intertextuality is mainly in two scenes of Paradox, it seems to be the main driving force behind this movie. The film’s previous title of The God Particle could have hinted at less of a strong connection, though the final title erases that possible subtlety. 10 Cloverfield Lane, the previous film in the series, was an engaging, nearly stand-alone film that just barely connected to the first Cloverfield film. Being less intertextual with the previous movie became a strength for 10 by letting it focus on the relationships and character development instead of fitting into a specific universe established by a previous film. Some of the best entries in other cinematic universes have also been stand-alone films that aren’t as focused on situating itself so strongly in relation to other films (Guardians of the Galaxy, Rogue One: A Star Wars Story, etc.). With a fourth film in the Cloverfield series already being planned (for theatrical release this time), a move back towards the focus on character development could be a wise move for this franchise.